The Golden Snitch is a bright and citrusy candle that smells metallic and looks like it too! Burn this candle and you'll feel like Link, trekking through the woods searching for the princess. Be aware though, there is a dangerous nuttiness to this candle that may catch you off guard. 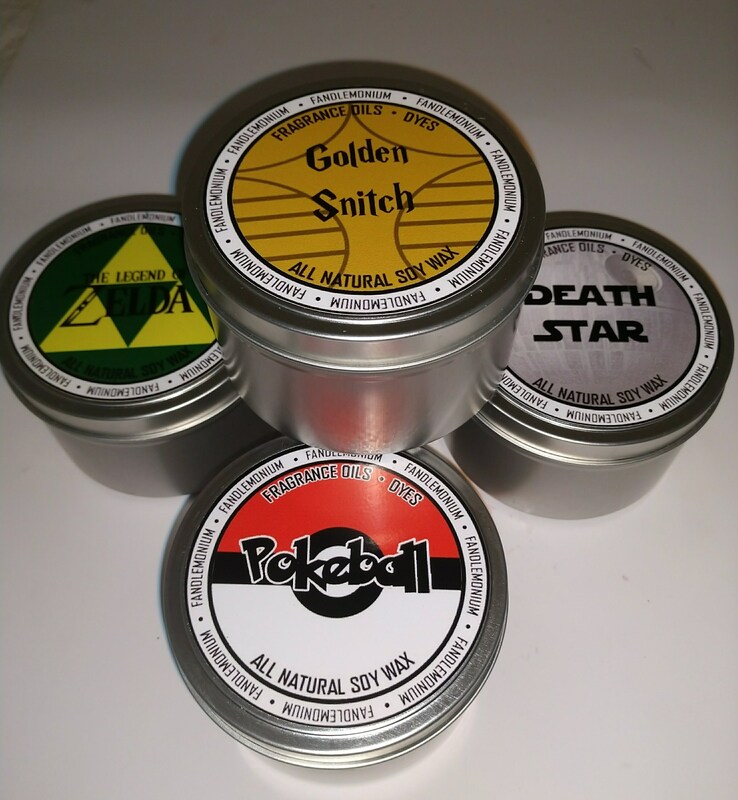 Our Pokéball candle smells like the berries you might feed to your favorite little monsters before embarking on a long journey, mixed with the scent of long grass you will travel through with them and the musty caves they will help you navigate. We like to call the scent of the Death Star "space station creation"- a familiar yet extraterrestrial mechanical odor of metallic oils and smoke.